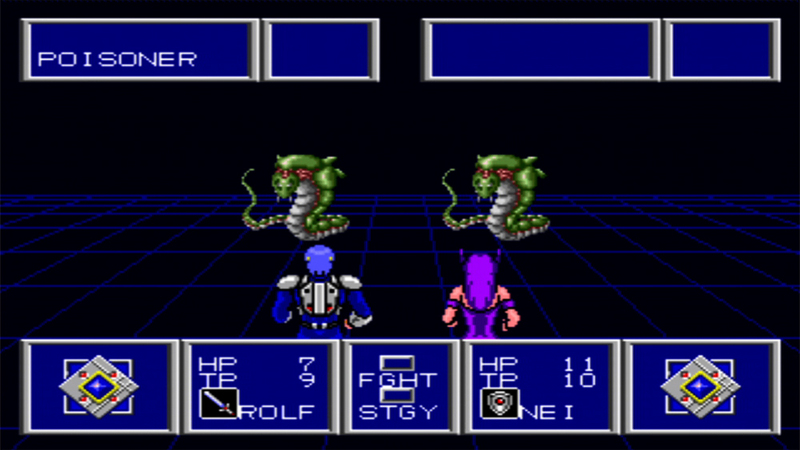 When announcing the release of Phantasy Star II for download as an Xbox Live Arcade title, SEGA's press arm published this screenshot. This version of the game is "re-worked for High-Definition," according to the official press release. Converting to a wider screen size has changed the dimensions of many graphics originally designed for older televisions. This is noticeable in several areas of the game, including battles. Characters appear to have gained some width to their bodily proportions. That's an interesting point about the wider tv screens, etc. I had never thought about that before.